The regionals picture got even more interesting after all the competitions concluded for week 11, and there’s just one more scoring opportunity for those bubble teams to seal their placement or end their season. But the bubble wasn’t the only interesting aspect of the weekend with LSU overtaking Florida for the No. 1 seed at SECs while Alabama slipped into the afternoon session for the first time since the conference expanded to eight teams and Miss Val had her going away party in Pauley. We feature UCLA and Kyla Ross a lot here (see below, for instance), but we’d be fools not to highlight the routine that not only gave this standout junior her first perfect 10 on the event but also handed her the final piece of the Gym Slam puzzle. If that’s not impressive enough, she did it after falling on her first two appearances to make it seven meets in a row with perfection, tying a UCLA record. The Mountaineer senior debuted a new full-twisting double layout dismount at Wednesday’s meet and casually stuck it. She previously competed a double layout. It’s been great to see so many seniors this year adding new skills to their repertoire for their final year. 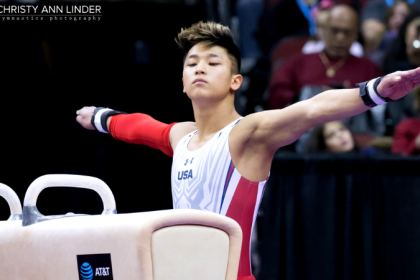 While there were a lot of particularly unreasonable scores this weekend—LSU/Arizona, UCLA senior night, UGA/Utah, anyone?—we decided to sit back and just enjoy the final meets of many of the best teams and best seniors college gymnastics has seen. Sure, the scores might have been unfair or even outrageous, but we chose to enjoy the meets and gymnastics for what they were this weekend. After all, the postseason is now here. Ashley Hiller, who transferred from Florida to Oklahoma in 2017, had yet to compete for the Sooners until Friday night’s senior night meet, where she hit her beam exhibition routine for a 9.800. Bonus: fellow senior Nicole Lehrmann’s happy reaction for her teammate. It was certainly an emotional night all around for UCLA, the seniors, Miss Val and fans across the Gymternet. While there are too many heartfelt videos to post here—and any one of them had us at least tearing up—this was one of our favorites produced from the night, by Deanna Hong, who lived her own sort of senior night in Pauley as well. The Big Storyline: You know it’s a championship-contending team when its 198-plus score isn’t a season high. That’s Oklahoma. The Sooners had a solid performance with more sticks than usual on bars and beam, and Alabama matched the energy with a season high score of its own. However, the Crimson Tide’s score wasn’t enough to hold off Kentucky for the final spot in the night session of SECs as the decision was out of Alabama’s hands heading into the weekend. Implications: It will be Alabama’s first time competing in the afternoon session of the conference championship, since the meet switched to a two-session format with the introduction of Missouri to the conference. But it should still feel confident going up against its competitors with a score like this. Records: Shallon Olsen had a career best 9.950 on beam as part of Alabama’s highest-scoring beam rotation of the season (49.400). Controversies: We all love Brenna Dowell, but there were some head scratches at the fact that this vault received a 10.000 despite what appeared to be a hop on the landing. The Big Storyline: UCLA had a wonky meet that included two falls on bars, but recovered to set the third highest floor score in program history. The 49.825 included perfect 10s from Katelyn Ohashi and Kyla Ross. Ross’ is a career high and completes her Gym Slam. Utah State had a solid meet, and Madison Ward-Sessions’ spectacular floor routine was a hit in Pauley. The most memorable part of the meet was the farewell festivities for the seniors and for head coach Valorie Kondos Field, which included an alumni flash mob and a new floor carpet bearing Kondos Field’s name. Implications: UCLA remains at No. 2 nationally. Utah State remains at No. 41 and is out of regionals contention at this point. Records: As well as completing the Gym Slam, Ross tied a UCLA record of most consecutive meets with a perfect 10. Her streak of seven matches Jamie Dantzscher’s from 2002. Controversies: Kyla Ross’ beam score was likely a little high given that she had a noticeable adjustment on her full turn. That said, scores were fairly conservative throughout, which surprised many fans. 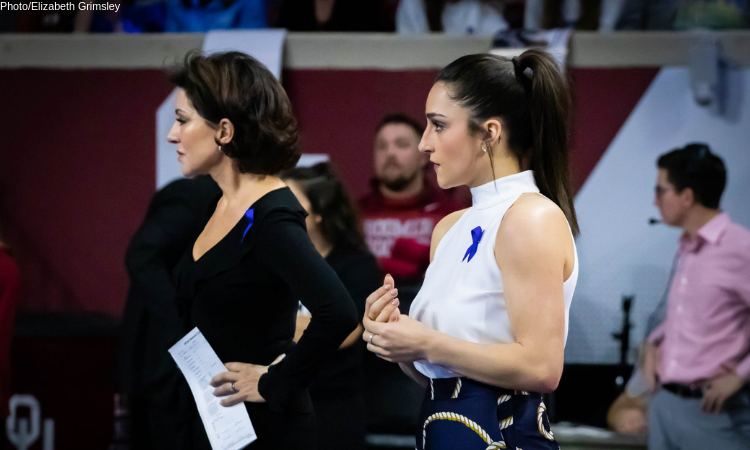 The audience in Pauley and fans on social media continue to be bewildered by the lack of a perfect 10 for Gracie Kramer’s incredible floor routine. The Big Storyline: LSU continued its huge late season push with its highest score of the season in Tucson, scoring a 198.175. Its vault and bars rotations were the highlight, punctuated by 10.0s from Kennedi Edney (vault) and Sarah Finnegan (bars). Not to be forgotten were huge performances from Arizona junior Christina Berg, who tied her career highs of 9.975 on bars and 9.900 on floor. Implications: LSU is now the top seed going into the SEC championship, surpassing Florida thanks to this big road number. Records: LSU’s 198.175 is the highest away score in program history. The team’s vault and bars totals were also the highest away totals ever on those events for the Tigers. Controversies: LSU’s vault rotation was described by Spencer from the Balance Beam Situation as “the most preposterously scored rotation of the whole season, and that’s saying a lot.” Many on Twitter concurred, with Ruby Harrold’s 9.950 on a vault with a huge step and Finnegan’s 9.875 with a big hop drawing some raised eyebrows. The Big Storyline: Despite a rough travel day due to the bomb cyclone that hit Denver this week, the Pioneers continued their record-breaking streak of seven straight 197s to top Iowa State. Mia Sundstrom returned on three events after missing two meets due to injury. Implications: Denver remains at No. 5 in the rankings while Iowa State moves up four spots to No. 22. Records: This is the first time in program history that Denver has recorded seven-straight scores of 197 or better. The Big Storyline: Georgia upset Utah by a small margin in its first fall-free meet of the season. Utah had a solid day but saw uncharacteristic landing difficulties on vault and floor. It nevertheless marked its highest away score of the season, which should build confidence going into the Pac-12 championship. Implications: Utah is confirmed to compete in the evening session at Pac-12s, and Georgia will do the same at SECs. Records: Georgia has not had this many 197-plus scores (six in total) in a season since 2014. Utah, on the other hand, has not scored below a 197 all season, which beats its previous season record of seven meets. In addition, MaKenna Merrell-Giles’s winning beam score was a career high for her. The Big Storyline: This was a wild one! Michigan led through three, and then counting a fall on bars gave Minnesota just the opening it needed. Missouri came back from fairly far out of it after two to tie Michigan with a spectacular beam rotation and strong six on floor. Implications: Minnesota will fall to No. 11 but has made next week’s Big Ten title meet much more interesting with this win. Michigan will hold at No. 7. Controversies: This stream was bananas bad. We were repeatedly reminded that “this is the SEC Network!” as an excuse for showing very little of every non-Missouri team here. We missed a 9.975 Natalie Wojcik vault! We missed all of Minnesota bars! We saw one Centenary routine! Not cool, especially because some of those routines happened while we were watching Shannon Welker wander around. The Big Storyline: Nebraska earned its highest team total since 2013 to show it’s peaking at the right time as it goes into Big Ten championship. Kentucky also had a great performance for its fifth 197-plus performance in six weeks. Illinois State rallied after two extremely difficult first rotations (it counted four falls across bars and beam) and completed solidly on floor and vault. Implications: Nebraska rose to No. 16 in the rankings with a victory over top 10 Kentucky. Kentucky clinched an evening session spot at the SEC championship, and its NQS is over 197 for the first time in program history. Records: Katie Stuart earned a career high 9.975 on vault to win the title and match the second-highest score on that event in school history. Controversies: This meet was supposed to include Boise State, but weather and travel issues prevented the Broncos from being able to make the trip. The Big Storyline: Auburn earned its second-highest team total of the season, setting it up for what should be a solid showing at the SEC championship. Air Force had a decent meet on most counts but ran into some trouble on bars, having to count two falls. Implications: Auburn confirmed its position in the afternoon session at SECs, but it will be interesting to see how it scores among the others if it were to replicate its big number from this meet in New Orleans. Records: Air Force sophomore Heidi Sand earned a career best 9.775 on floor. The Big Storyline: Arizona State bounced back from its lowest score of the season to put up one of its best. BYU got hit for slow connections on beam, many of which have existed throughout the season and credited. West Virginia put up a solid number, highlighted by its floor rotation. Notably, Jaquie Tun twisted her bar dismount for the first time, ultimately resulting in a stuck full-twisting double layout. Implications: BYU drops a spot to No. 15 and West Virginia is up a spot to No. 27 overall. Records: Justine Callis’ 9.850 on bars is a career high. Kirah Koshinski now holds the program record for most career vault scores over 9.900. Controversies: Beam judging was super slow, especially during the first rotation. There were lots of judging conferences over scoring splits throughout. After the first rotation, an inquiry raised BYU’s beam score by 0.500. The Big Storyline: BYU bounced back from a disappointing performance at Arizona State on Wednesday to score yet another score over 196, its seventh of the season, and defeated MRGC conference rival Southern Utah. Records: Shannon Evans’ perfect 9.950 for her Yurchenko half was a career high. Karley McClain set a career high 9.925 on floor. The Big Storyline: Oregon State was able to secure the Pac-12 night session with a big quad meet win on senior day. Iowa also had a solid day and did enough to secure a regionals berth. North Carolina has been unable to regain its footing in the latter part of the season, finishing with a second-straight season low score. Implications: Oregon State moves up a spot to No. 14 and secures the night session at the Pac-12 championship. Iowa remains steady at No. 33 but is officially locked into regionals. North Carolina drops to No. 48, and Seattle Pacific drops to No. 66. Records: McKenna Singley’s 9.925 on floor ties her career high, and Lauren Guerin’s 9.875 on vault also sets a personal best. The Big Storyline: Cal recorded a huge program record score to finish atop the standings and secure the night session at Pac-12s. Maya Bordas made her first career appearance in the all around and took the victory. Illinois also recorded a season high and is now officially locked into regionals. 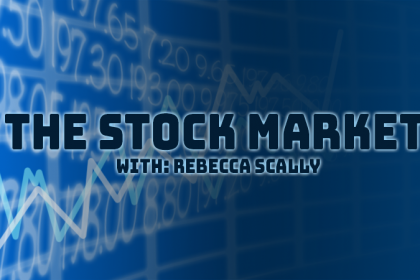 Implications: Cal stays steady at No. 16 while Illinois shoots up to No. 32 and is guaranteed a spot at regionals. Records: Cal set program records on beam (49.475) and total score (197.575). Its 49.350 on vault also ranks fourth in the record books. Karen Howell’s 9.900 on floor and 39.400 in the all around were career highs. The Big Storyline: Washington had its steadiest meet of the season, coming up just short of 197 with a spectacular season high bars rotation. Senior Malory Rose set a career high of 9.925 on beam, which is an emotional accomplishment since the usually unflappable specialist has struggled with consistency this year due to a knee injury. UC Davis struggled on its senior night, counting a fall on bars, and Illinois put up a solid total despite some lineup choices we don’t totally understand. Implications: Illinois jumped up to No. 34 in live rankings, though it’s far from assured of a regionals spot yet. At No. 39, UC Davis is officially out, and Washington will drop one spot and be relegated to the afternoon session of the conference championship this weekend. Records: Washington’s spectacular bars rotation was its best since 2004. Four athletes set career highs on that event. Kelley Hebert of UC Davis tied her own school record on floor. Controversies: The judges at this meet had it in for tucked vaults. UC Davis’ Yasmine Yektaparast and Gabby Landess got unjustifiably low scores for their Tsuk tuck fulls (Yektaparast got a 9.375 for a hit! ), and Yale’s Yurchenko tuck fulls didn’t fare much better. Plus, scoring was all over the place in general. The Big Storyline: Arkansas showed it’s almost back to its old self, scoring its second highest team total of the season after last week’s season best. The other three teams had problematic rotations on at least one event, but Lindenwood really shined on floor to make up for it with a season best 49.300. Implications: Lindenwood is on the very cusp of making regionals. The Big Storyline: West Virginia scored a season high 196.425 to finish nearly a point ahead of the rest of the field. Jaquie Tun continues to have her best year ever, making her season all around debut and winning the title by a large margin. Implications: West Virginia moves up to No. 27 while N.C. State drops to No. 29, but both teams have officially secured a regionals berth. Penn State drops to No. 25 while Ohio State drops to No. 23. Records: Kristen Politz and Ava Verdeflor recorded career highs on beam with a 9.900 and a 9.850, respectively. Jaquie Tun recorded a career high on beam (9.900) en route to West Virginia’s second-best beam score ever (49.300). The Big Storyline: A near-season high for Maryland and a season high for George Washington propelled them to the top at this quint meet, separating them from the rest of the field by well over a point. Towson’s second-highest total of the season allowed it to defeat EAGL rival Pittsburgh. The Panthers had an overall rough meet, but Haley Brechwald making her season all around debut was a high point. Implications: Maryland and New Hampshire are officially locked into regionals while Pittsburgh is officially eliminated. George Washington’s fate will be determined next weekend at the conference championship. Records: Alex Zois scored a career high 9.925 on vault. Ally Wesoly set a new personal best on bars with a 9.875. The Big Storyline: These teams are likely to battle for the MAC title next weekend, and in this preview the Chippewas dominated thanks to a massive 49.325 vault rotation. Look for Denelle Pedrick and Anna Martucci to fight for the floor title next weekend; they were close here, but next weekend’s championship takes place at home for the latter. Implications: With its second consecutive 196, Central Michigan locks up the outright MAC regular season title and is the favorite going into MACs next weekend, but essentially any team in the conference could challenge on the day. Central Michigan has locked a regionals berth, and Northern Illinois is mathematically out. Records: Pedrick’s all around total is a career high. Cinny Lamberti’s 9.850 on vault is a personal best and the highest vault score for any Husky this year; Allison Richardon’s beam-winning total is also a career mark. The Big Storyline: Michigan State came out on top of a chaotic meet that saw Ball State lead through three events and UIC fail to get a convincing total that could have set it up to qualify to regionals. Alaska was lackluster, but a stellar beam performance by Sophia Hyderally will allow her to rocket up the individual rankings and contend for an event specialist regionals berth. Implications: UIC will slip to No. 35 heading into conference weekend and is right on the edge of a regionals berth. Ball State will jump one spot, passing a lackluster Pittsburgh while Alaska and Michigan State will stay put. The Spartans are also now officially out of regionals contention. Records: Hyderally’s beam score ties the No. 5 score in UAA history. Controversies: The BTN+/Flo commentators were typically lackluster. 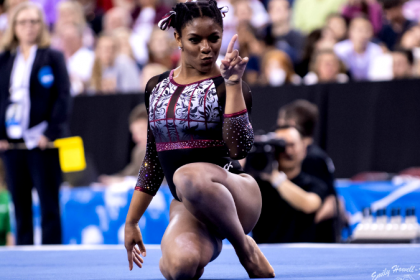 The female commentator had a fundamental misunderstanding of gymnastics scores, routinely ignoring decimal points and announcing scores as, for example, “ninety six point five” instead of “nine point six five.” We also barely saw any routines outside of Michigan State. The Big Storyline: Well sheesh, Eastern Michigan! The Eagles become the second squad to top 196 after Central Michigan. Led by strong all around performances from Jada Rondeau and Emili Dobronics, the whole squad excelled in this 24-for-24 outing. Keep an eye on Kent’s Dara Williams to contend for the vault title next weekend. The Flashes are very much in danger of missing regionals and will need a strong showing next weekend to clinch a spot. Implications: Any team in the MAC could take the conference title next weekend; with this score, Eastern Michigan proves it is a serious contender. The Big Storyline: Rutgers recorded its eighth-straight score of 194 or better to defeat Cornell, who was unable to regain its footing after counting a fall on vault in the first rotation. Implications: Rutgers drops to No. 47 and is officially eliminated from regionals contention. Cornell remains at No. 59 nationally and No. 4 in the ECAC. Records: Michelle Amoresano’s 9.825 on bars was a career high. 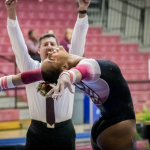 The Big Storyline: Temple recorded its second-highest score of the season and second 195-plus score in a row to defeat Bridgeport and ECAC conference-mate Brown, who scored a season high. Implications: Temple moves up two spots to No. 46 and remains at No. 1 in the ECAC. Brown moves up to No. 61 nationally and No. 5 in the ECAC. Records: Monica Servidio’s 39.225 was not only a career high, but it also broke the Temple all around record. Mei Li Costa tied the Brown bars record with a 9.900. The Big Storyline: This matchup pitted two of the best MAC all arounders against each other in Rachael Underwood and Jovannah East. East came out on top here, but watch for their rematch at MACs next weekend. Implications: Despite the strong score, Bowling Green will remain at the bottom of the conference. The Big Storyline: Penn was unable to continue the momentum from a record-breaking meet last weekend and fell to conference-mate William & Mary.